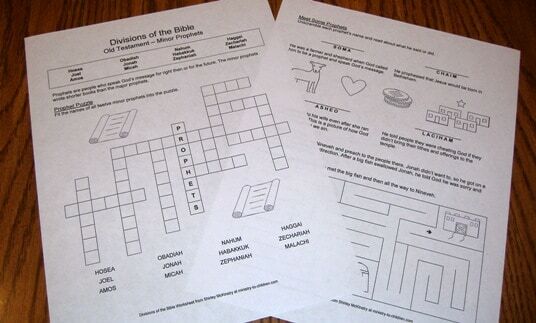 This worksheet focuses on the Old Testament minor prophets. It has two pages that can be printed back to back. Pencils are needed; crayons may also be helpful, especially if you need to use these with younger children.